A DELIGHTFUL candle for spring is called “SMELL OF SPRING” by Aromatique. You can purchase this at CANDLES FOREVER. 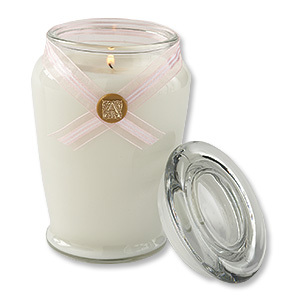 The large jar candle is $22.50 and, it will surely last for two consecutive spring seasons. I like to think of this candle as my “Signature” spring scent. I have burned it in our home each spring since we were married. DIVINE! Your family and all guests who enter your home will be delighted with this wonderful seasonal scent.